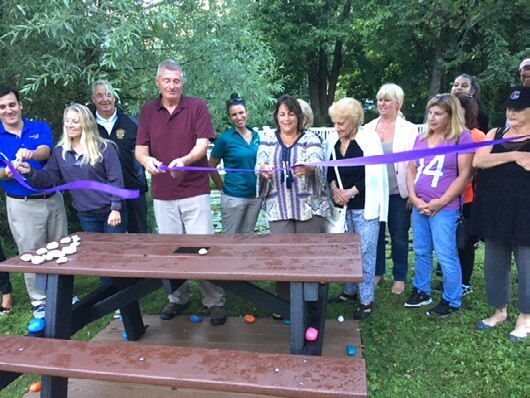 A ribbon was cut and Putnam County’s Serenity Rock Garden was officially opened Friday evening along the shores of Lake Mahopac. 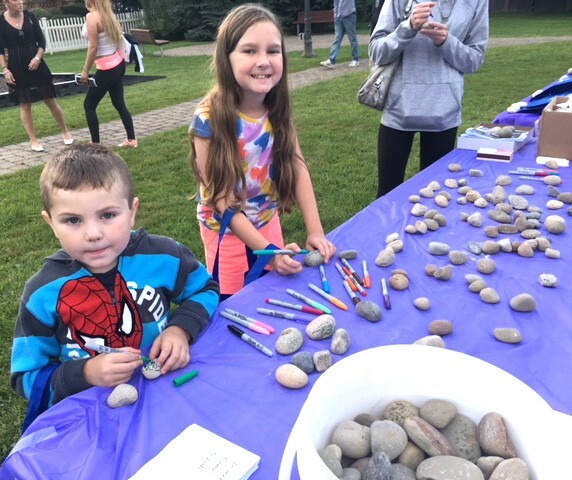 The garden consists of a bench, table and individually placed rocks by those who have lost someone to the scourge of opioids and other narcotics. Lauren Privitera, a Mahopac woman who lost her son to a heroin overdose in February 2015, decided to remember her son in a positive light while helping other families left behind from loved ones overdosing on illegal substances. She formed a Mahopac chapter of GRASP, a national support group that assists families following the sudden drug related loss of a loved one. ‘Grief Recovery after a Substance Passing’ has chapters across the United States. Privitera hosted the Hope and Healing Memorial where in addition to the garden opening, tribute readings and a banner/book signing occurred. The event was celebrated in conjunction with International Overdose Awareness Day.